Although we're not against this new, tweaked definition of snowmobiling, we must clearly state this reality: If snowmobiling keeps redefining itself away from groomed trail riding - and I'm speaking about flatland freeriding here - there's going to be a huge price to be paid. Sure, it's great the OEMs are recording sales increases in deep snow, longer tracked crossover rides; I get that. However, there has to be a visible, coordinated move to educate these buyers their new way to participate has boundaries and subsequently, rules. If this doesn't happen soon, we're in for big trouble! Honestly, I'm less sure about the above rationale than I’ve ever been. I'm concerned things are getting out of control. We attend all the big US consumer shows every fall and this year I was overwhelmed by the increase in people we spoke with who are buying sleds with the intent to use them off-trail in flatland, trail-based territory. Like I said, I'm all about more participation and expansion. However, I'm becoming increasingly concerned about the consequences of this re-imagined type of riding. You've likely heard, just like we have, about trail closures from sleds wandering off the prescribed signed and marked routes. 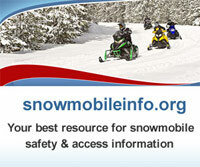 Landowners are the backbone of North America's state and provincial groomed trail systems. The desire to freeride using these trails as a springboard to "get to the pow" runs 180-degrees counter to the original idea behind groomed trails. Those who build, maintain and groom our valuable trail systems can no longer just get angry at off-trail riders, because they're most certainly not going away. One more thing: It's probably time for the OEMs to step up with some ideas aimed at preserving the amazing access we enjoy to public and private land. As the main benefactors of the explosion in popularity of deep snow sleds, the manufacturers need, at the very least, to participate in and ideally help direct this conversation as well. 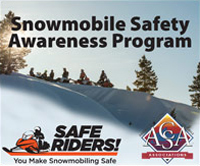 It's time to get talking constructively about this no longer "emerging" but rather, ever-increasing fraternity of snowmobilers who see things differently than the status quo.